If you haven’t signed up to Square and created an account, read more below. First you you need to login to square. Be sure to download the Square Point of Sale app onto your mobile phone or tablet. If you are using an iPhone or iPad, click on the App store and search for Square, once you get the Square Point of Sale app, you can download. The same process applies to Android users, and the app is available in the Play Store. Once you have downloaded the Point of Sale app, configure your store setting on the Square dashboard. The more information you add in at the start the easier it will be to use this application. Navigate the accounts and settings that are part of the dashboard and put in your personal and business information. Customize the text and logo on your invoices and receipts and set up your taxpayer information and 1099-K that is a form you can get online to report credit card sales. Square POS offers an intuitive dashboard that is easy to navigate for sales and payments. Adding inventory items to your Square register will help you keep track of your stock with automatic inventory counts when you sell an item. Having Trouble Logging into Square – Want to Consider Some Alternatives? Square has become a giant in the mobile point of sale and mobile payment industry. They started out as a simple mPOS and have become full mPOS, tablet based point of sale system with e-Commerce integrations and unrivalled developer tools. Square is very popular with cafes, fast food, travelling salesmen and artists selling their wares. Even though Square offers incredible value for small to medium sized businesses, clear and transparent pricing and affordable hardware, it might not be for everyone. Are you having problems logging into your Square account? This can happen with any company from time to time. When it comes to logging in, Square has a very simple process and is usually highly reliable. 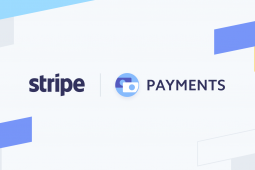 Whether you are starting a new business or looking to switch to Square, you will be able to take advantage of their free magstripe reader and reasonable price set up. 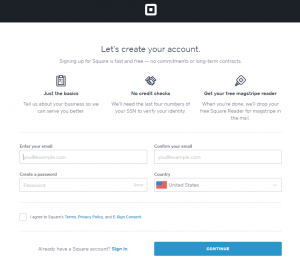 It is easy to login to Square, all you need to do is sign up and create your free Square account. There is no need to sign any long term contract so you have absolutely nothing to lose. Once you have created your account you will need to give an address so that they can send you your free square reader which usually arrives within 5 – 7 business days. From here you will need to download the free Square app and link your bank account for deposits. When you receive your reader it is a simple matter of plugging it into your smartphone or tablet to start taking card payments. To create an account with Square is relatively easy, go to their website and click ‘Get Started’ enter and confirm your email address and create your password before clicking ‘Create Account’ There are drop down choices for type of business and you will be asked a few personal questions to verify your identity. You will be asked to supply the last four numbers of your Social Security Number to verify. You can also use Square for a personal business if you decide to sell items from home or offer any services on the go. Once you have created your account and linked your bank information you are ready to go. 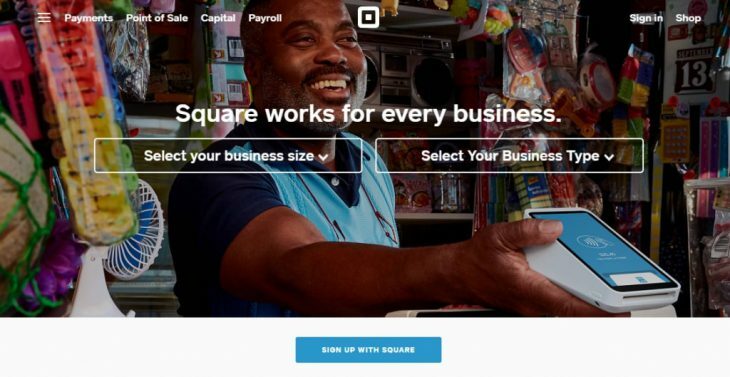 Note that Square only works for individuals and persons that are based in the US. Square login is easy once your account is created, you can login in to Square point of sale at any time with your email and password associated with your account. If you have trouble logging in to Square, make sure you have entered your password correctly, the passwords are case sensitive. Signing out of your Square account differs, for Android devices tap the three horizontal lines, Account, and then sign out. For iOS devices, tap the three horizontal lines then Settings and sign out. Signing up for Square is fast and free — no commitments or long-term contracts. With the free Square payment app you will be able to swipe magstripe cards, send invoices and accept payments over the phone and on your website easily. The only payment you have to make to Square is 2.75% of each transaction for Visa, MasterCard, Discover and American Express. There are no monthly fees, no commitments and no unexpected charges. Devices that are compatible with the Square Magstripe and their Chip Card Readers are Apple iOS and Android. Another good choice is ShopKeep which is an iPad POS app that offers great features for retail and food service businesses. ShopKeep is ranked as one of the top POS systems and its only drawback is that it does not advertise its prices online, to get this information you would have to apply online for a quote. ShopKeep offers a POS system full of features which include gift card support, employee management and inventory management. If you are looking for a comprehensive set of analytics, ShopKeep offers advanced reports in every field. 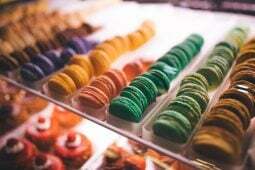 ShopKeep also targets small to medium sized business and is scalable as you grow. For more details on ShopKeep, check our review on Shopkeep POS Review. Another option is Revel which is a cloud based point of sales POS system that is suitable for retail stores and all types of restaurants. The integrated operations are all controlled from a single dashboard with the capability of inventory management and much more. 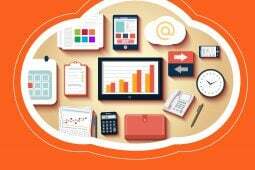 The data application tracks sales, payment and sales summaries and product information. 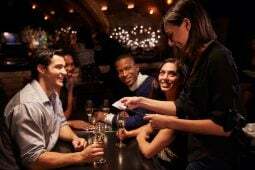 Other features are customer management, loyalty programs and gift cards. Revel is also an iPad POS system with Always on Mode which will allow you to carry on business uninterrupted even when you are offline. Revel also doesn’t advertise their prices online but it does give you the choice to find your own credit card processing company. Revel systems do insist that you sign a contract with them and in order to get the cost you will need to ask for a quote. For more information on Revel see our full Revel Review.